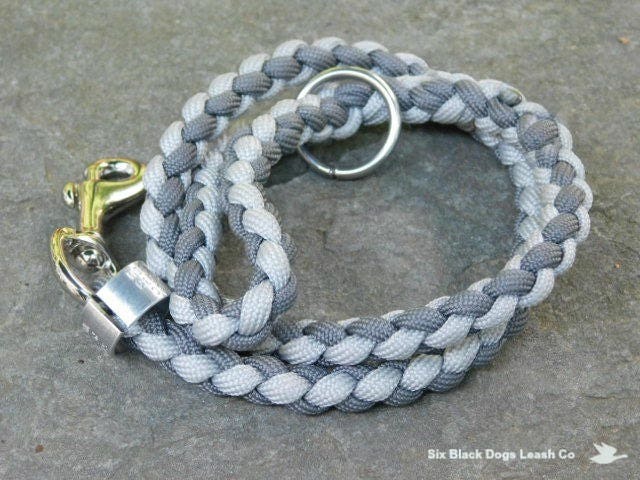 24" Charcoal Gray/Soft Gray leash with small/medium swivel solid snap snap bolt. 550 Paracord. This leash has a "thumb" loop instead of the traditional larger hand loop. 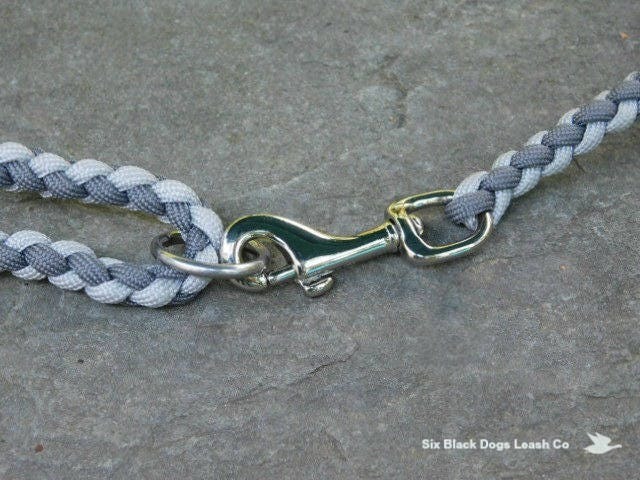 The smaller loop provides the perfect place for your thumb or just a couple of fingers to lightly hold the leash. Also includes "O" ring on handle so that you can connect the two ends and place over your head to work off leash but still have the leash quickly available.